Hanggang kailan ka magtitiis sa malabong paningin? QualiMed Hospital- San Jose del Monte celebrates the Sight Saving Month this August! Visit our Ophthalmologist for your surgical needs for cataract or pterygium. 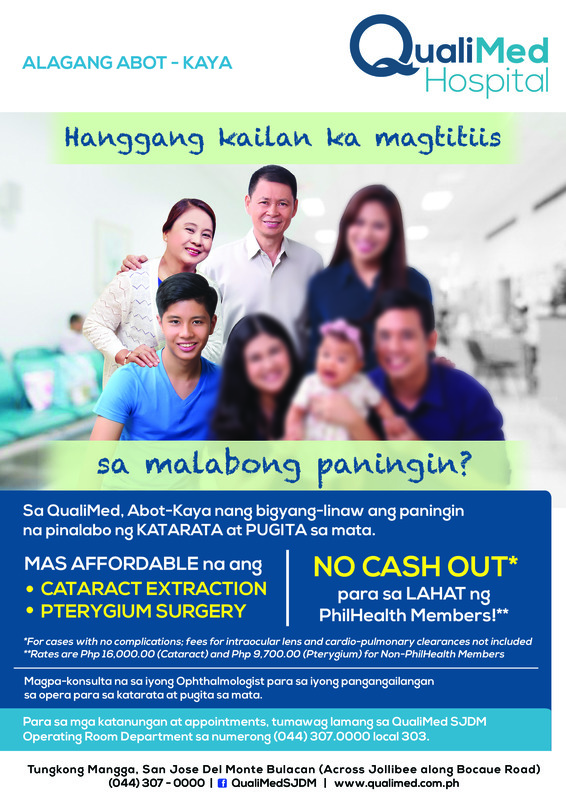 No cash out for PhilHealth members, and for non-PhilHealth members, rates are P16,000 for cataract extraction and P9,700 for pterygium surgery.